← Nepal Footprint Holiday stops elephant ride bookings! 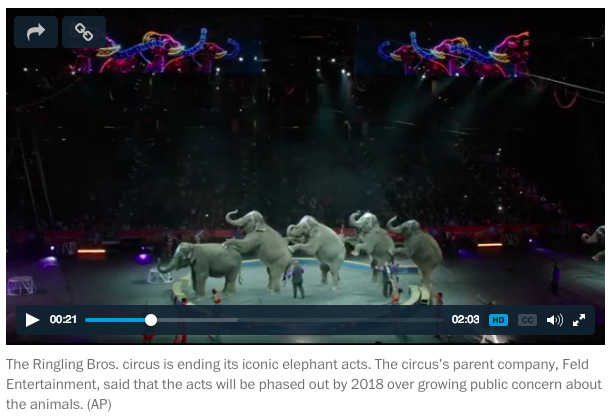 POLK CITY, Fla. — The Ringling Bros. and Barnum & Bailey Circus says the “Greatest Show on Earth” will go on without elephants. This entry was posted in Circuses and tagged animal welfare, elephants, world animal protection. Bookmark the permalink.